The University of Connecticut's AJ Pappanikou Center for Excellence in Developmental Disabilities Education, Research and Service (UCEDD) is the UCEDD for the State of CT. It is funded by the Administration on Developmental Disabilities and authorized under the Developmental Disabilities Assistance and Bill of Right Act of 2004. The purpose of the UCEDD is to provide university-based training, community services including training and technical assistance, research and dissemination with and on behalf of people with disabilities and their families across the lifespan. The CT UCEDD's emphasis areas as taken from the DD Act and regulations for the UCEDD program are early intervention and schools; Health and Mental Health; Community Inclusion; and Leadership Development. The UCEDD is seeking experienced candidates to fulfill two full-time non-tenure track positions (Training Director and Research Director) in Developmental Disabilities. As described in the DD Act of 2004, the Research Director will be responsible for the research core function of the UCEDD and the Training Director will be responsible for the educational core function of the UCEDD. Rank will be based on qualifications. Depending on rank, the successful candidates will have an emerging (Assistant) or established (Associate/Full) national reputation for interdisciplinary scholarship, teaching, and service within the field of Developmental Disabilities. A doctoral degree in special education, education, psychology, public health or a related field is required by time of appointment. Apply online for more details by visiting the Health Center's Employment Services website at https://jobs.uchc.edu, Search Code Number 2012-784 (Training Director) and 2012-1008 (Research Director). These positions will remain open until filled. School Professionals has been retained by several Charter Schools in New York City to fill multiple Elementary School vacancies for the 2012/2013 school year. These positions offer educators the opportunity to join dynamic educational teams as these schools grow for the future. We have excellent positions for several Special Educators who have experience with inclusive classrooms, and with co-teaching settings in particular. The priority at the schools is on differentiated, small group instruction; as such, classrooms will have 2 co-teachers that work together in a supportive, collaborative environment, with one taking the lead on whole class reading, one taking the lead on whole class writing, and both sharing the responsibility of one-on-one and small group conferencing. Required: New York State Certification in Special Education or at Elementary Level or capacity eligibility. Required: Experience with Collaborative Team Teaching to support students with special needs. Preferred: Master's degree and 2 years of full-time teaching. Preferred: Experience working within an urban school. Salary is extremely competitive and commensurate with experience, 15% above the New York City Department of Education pay scale, with full benefits offered. Learning Specialist works directly with student-athletes who have diagnosed educational impacting disabilities. Education -- Masters or Specialist Degree in Psychology, Educational Psychology, Special Education, Counseling, Social Work, or related field required. Doctoral degree in Psychology, Educational Psychology, Special Education, Counseling, or Social Work preferred. Experience -- 3-5 years of experience working with adolescents and adults with Educational Impacting Disabilities, Attention Deficit Hyperactivity Disorder and Anxiety Disorder expected. Understanding of the demands of the student-athlete population is preferred. Must be able to maintain collaborative relationships, have excellent writing ability, and be an effective presenter and educator. Measured Progress is an Equal Opportunity/Affirmative Action Employer committed to workforce diversity. Collaborate with and provide technical assistance to Measured Progress program manager, subcontractor, and/or state education agencies regarding the program's design, planning, and implementation. Conduct in-state professional development workshops with educational professionals on the implementation and scoring of alternate assessments. Develop and write administration manuals, resource guides, scoring guides, and presentation materials as needed. Collaborate with Measured Progress Curriculum and Assessment staff to develop and revise alternate assessment items, as well as the overall assessment design, as needed. Act as the main liaison with Measured Progress staff and state agencies on all test design and development issues for the contract, conducting in-state development meetings as required. Collaborate with the Measured Progress program manager and/or subcontractor with communicating the program's design, objectives, deliverables, budget, and deadlines to internal personnel to ensure the contract is carried out on time and according to specifications. Assist with the creation of contract-specific test designs and specifications for current contracts and/or proposals. As an EOE/AA employer, Measured Progress openly encourages applicants from diverse backgrounds. Measured Progress's corporate campus is located 65 miles north of Boston in the New Hampshire Seacoast region. Measured Progress offers an exceptional benefits package and work environment, featuring on-site child care and gym facilities, generous paid time off and retirement savings plans, and immediate eligibility for health, dental, vision and life insurance. Hillside Academy East Campus, a member of The Menta Group, is an alternative safe school for middle and high school students who are at-risk of suspension or expulsion or have other special education needs to be served. The school's curriculum is geared to primary, middle and high school students, and the credit earning system for high school students is aligned with its partnering district/Chicago Public Schools. This partnership thus allows for seamless transitions from and to the students' home schools. HAEC was established to positively impact the academic and social-emotional competencies of students referred to the program, and offer a variety of school-to-work options for special education students. The classrooms are designed to be active learning environments where young people have the opportunity to experience educational, behavioral, and social success on a regular basis. The high school curriculum aids students in acquiring the knowledge and skills necessary for success in post-secondary education and/or employment settings. For those students preparing to transition back to a public school setting, our transition specialist provides active support throughout the process. Background: Hillside Academy East Campus is the adjunct campus of the organization's first school, Hillside Academy. Hillside Academy East Campus is approved as a nonpublic special education program (under Section 14-7.02 of the Illinois School Code) for students in Kindergarten through 12th grade. This position offers an access to medical, dental, vision plans, 403(b), sick pay, holiday pay, and personal days. The salary range is comparable for the position and area, depending upon certification and qualifications. All of our programs post their open teaching positions on our web site and feature an easy-to-complete application process. Special Education Services (SES), an affiliate of The Menta Group, is a non-profit agency serving high-risk children in Illinois and Arizona. With its no refusal, no suspension, no expulsion policy, SES students attend school daily regardless of their behavior. A continuum of services is offered to meet the educational needs of special needs, at-risk, and high-risk public school students. We are currently seeking qualified applicants for the position of School Administrator (Principal) for Hillside Academy East Campus located on Chicago's West Side. Successful candidates will be creative, energetic and eager to develop and implement innovative solutions to critical problems in education. As a Principal in one of our schools, you will be working in an atmosphere where data-driven decision making and teamwork is the norm. Lead the school by building high performing teams, responsibly managing work and people, and enlisting others in the school vision. Promote the success of students by creating an instructional program that continually strives to improve teaching and learning. Create and maintain a school environment that focuses on students and emphasizes high academic expectations, a personal approach, caring, discipline, and order. Encourage professional development, recruit and select outstanding staff, and effectively supervise teachers and staff in order to improve student learning and academic achievement. Confer with students, parents, and staff to resolve issues and problems. This position offers an access to medical, dental, vision plans, 403(b), sick pay, holiday pay, and personal/vacation days. The salary range is comparable for the position and area, depending upon certification and qualifications. Special Education Services (SES), an affiliate of The Menta Group, provides for the educational needs of high risk, special needs children and adolescents, ages 5 through 21. Believing that all children have a right to quality educational services, SES schools find innovative solutions to critical problems in education working with an integrated focus on academic and social-emotional learning, and a continuum of learning and behavioral supports. In conjunction with Arizona Education Cadre, specialists in the training of the Structured Teaching Model (STM), Special Education Services is looking for a teacher of students with Autism Spectrum Disorders for participation in an Autism Lab School housed in the Coolidge Unified School District. The program will provide special education and related services to students with ASD while providing training opportunities to special and general education staff working with students in other programs. Successful candidates will have strong skills in school-based problem-solving, multidisciplinary collaboration, positive behavioral support, behavioral and academic interventions, progress monitoring and evaluation, and consultation with educational staff. This position offers an access to medical, dental, vision plans, 403(b), sick pay, holiday pay, and personal days. The salary range is comparable for the position and area, depending upon certification/licensure and qualifications. In conjunction with Arizona Education Cadre, specialists in the training of the Structured Teaching Model (STM), Special Education Services is looking for a teacher of students with Autism Spectrum Disorders for participation in an Autism Lab School housed in the Pendergast School District. The program will provide special education and related services to students with ASD while providing training opportunities to special and general education staff working with students in other programs. Successful candidates will have strong skills in school-based problem-solving, multidisciplinary collaboration, positive behavioral support, behavioral and academic interventions, progress monitoring and evaluation, and consultation with educational staff. Seattle University has an exciting, dynamic opportunity for a Director of The Center for Change in Transition Services to join our community. The Director of The Center for Change in Transition Services (CCTS) is responsible for managing the daily operations of the Washington State Office of Superintendent of Public Instruction (OSPI) Special Education State Needs Project, CCTS. The Director will oversee the data collection and preparation for analysis and reporting of Indicators 1, 2, 13 and 14 outlined in Part B of the 2012-13 State Performance Plan's (SPP) as mandated by the Office of Special Education Programs (OSEP). The Director will also provide technical assistance, on- going training and support to the state's Local Education Agencies (LEAs) to meet the 2012-2013 SPP goals for Indicators 1, 2, 13 and 14. The Director will also oversee the CCTS budget, application of the CCTS grant for OSPI funding and update the CCTS online resources (including web-based training for continuing education to secondary special education staff). In addition, the Director will collaborate with the Principal Investigator of CCTS and OSPI liaisons to ensure that all OSPI directed goals are obtained for September 1, 2012 through August 31, 2013. This is a grant funded position. Employment is contingent on availability of grant funding. The Director will manage the CCTS daily budget, coordinate and prepare materials and respond to email/telephone requests for information requests regarding secondary transition services for youth with IEPs in the state. The preparation of the data for analysis and prepare all post-school data for the yearly report of the post-school follow up study. Manage all aspects of a grant following the guidelines and policies set forth by the Office of the Superintendent of Public Instruction and Seattle University. Masters Degree, Ed.D. or Ph.D. in Special Education and at least two years of experience working in a similar program or field or an equivalent combination of education and experience in research methodology sufficient to successfully perform the essential duties of the job such as those listed above. 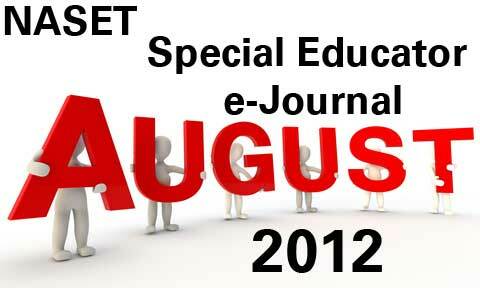 Knowledge of special education and secondary educational laws and practices is required. Knowledge of data collection and reporting procedures is required. Knowledge and/or experience using e-learning or web-based technology is required. Knowledge of research and literature in post-school data outcomes is necessary. Knowledge of methodology, best practices, and data analysis related to developing research projects is also necessary. This position requires excellent interpersonal communication skills and ability to work effectively with diverse audiences with a customer-service focus.